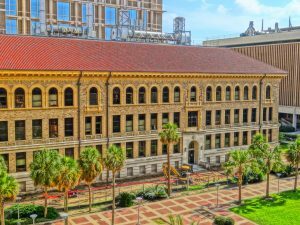 Project Portfolio- Keiller Building & Jack K. Williams Administration Building - Zero/Six Consulting, LLC. Zero/Six performed a forensic investigation, including water testing with a horizontal spray rack meant to simulate a heavy rain at grade and below. Data loggers were randomly placed within the Keiller building (Level 1) to monitor humidity levels. After review of testing and inspection data, Zero/Six assisted in the preparation of a scope of work and provided on-site quality control inspections while the construction team implemented the below-grade modifications. Jack K. Williams Administrative Building, Texas A&M University, College Station, TX. 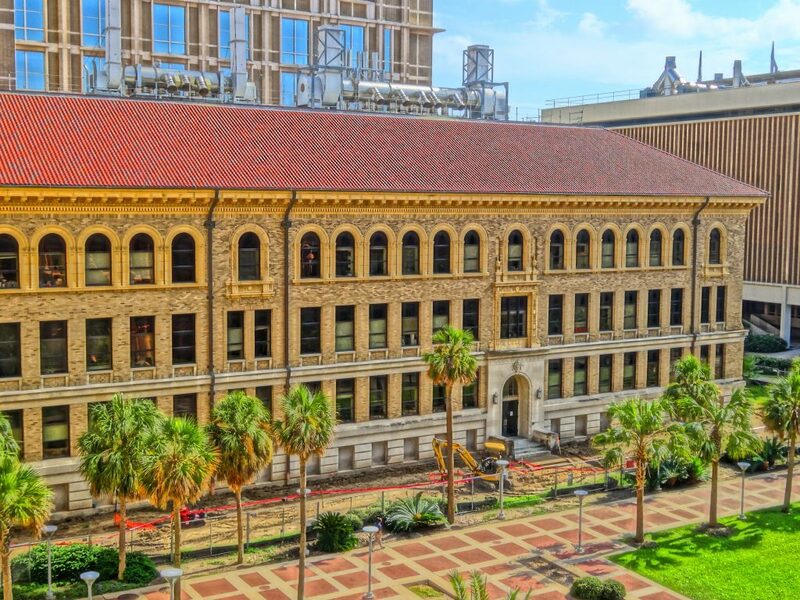 Built in 1932 to house the university’s administrative offices, the Jack K. Williams Building continues to house many offices and agencies related to the Texas A&M University System. 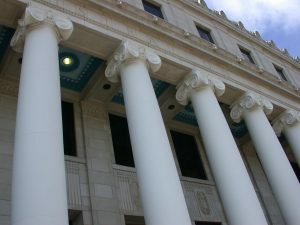 The design of the building is based on a classical revival style that includes fourteen ionic columns with images of cadets and a young woman cast into the capitols of the columns. Zero/Six first visited the Jack K. Williams Building in April of 2014 while the building was in the midst of a major renovation that was predominately an effort focused on the interior spaces. At that time, water infiltration associated with rain events had been observed in several areas within the building. Since the 2014 site visit, there have been repairs to the exterior building envelope in an effort to eliminate water infiltration experienced within the building. Although these repairs seem to have improved the building’s overall performance with regard to water resistance, water infiltration continues to be experienced in some areas. Zero/Six determined that the exterior building envelope issues experienced at the Jack K. Williams Administration Building was the result of an aging, and as a result, deteriorating, the exterior building envelope that depends on masonry mass walls for protection from the elements.